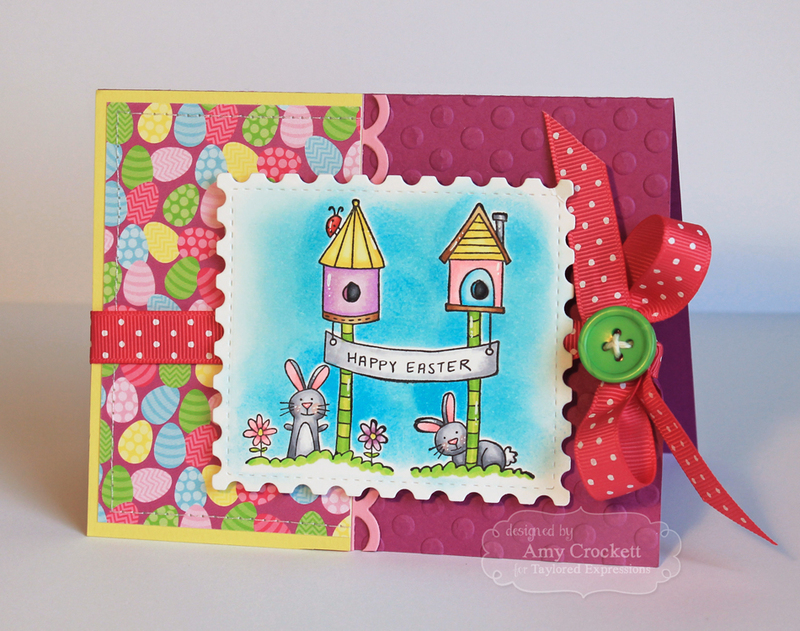 I used the new For Peep's Sake patterned paper pack and also the Lot of Dots embossing folder. To finish off the card, I added a bit of machine stitching, the Open Scallop Border die, some ribbon, and a button. I hope you will hop on over to the Taylored Expressions blog to see the whole release. Don't forget to check out what the other designers have created with this fab new release, too. Darling card Amy. Love the sweet image and the coloring. The stitching looks great with the postage stamp edge. 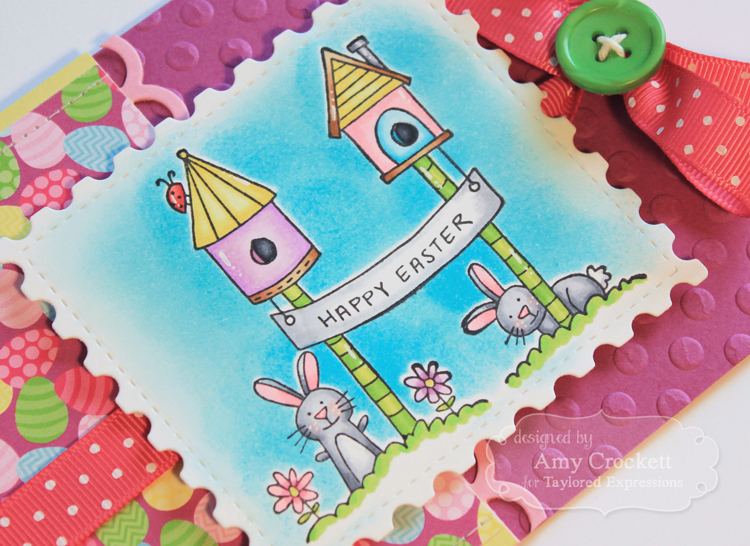 Amy, love all the special little elements you used for this card! Just absolutely lovely. And your Copic maker coloring is beautiful. Did you airbrush the blue background by any chance? Thank you for the inspiration. Thanks so much!! For the background, I actually stamped and cut out out the image on another piece of paper and taped it over my colored image. I then used an ink dauber with turquoise ink to color in the background. I really wish I had an airbrush.